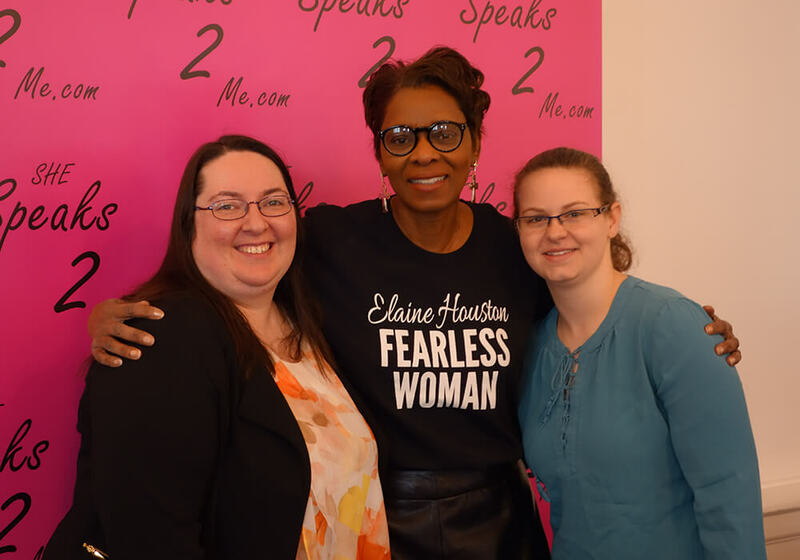 ALBANY, NY, April 9, 2018 – Elaine Houston, WNYT Channel 13 anchor, hosted a sold-out summit for women to network and discuss important issues this past Saturday, April 7. Maria’s Vice President of Mission, Planning and Students Affairs | Dean of Students, Victoria Battell RSM, facilitated a workshop on the inner healing power of forgiveness. As a Sister of Mercy, spiritual writer and speaker, Victoria Battell provided insights on the personal and spiritual aspects of wisdom. Keeping to the theme of the summit, she conveyed that forgiveness requires courage and inspired participants to take that first step and reclaim their destiny by being fearless and forgiving. Saturday’s summit was just the beginning for many of the participants who will now be doing the work to find connections and paths that move them forward to new opportunities.